Wood is one of the most popular choices for flooring these days, and there are so many different types on the market it can be difficult to make a choice. If you want real wood on your floors, you have two choices–solid or engineered hardwood. Solid hardwood is made from one solid piece of wood, usually around ¾” thick. Tongue and groove is the most common form of solid hardwood flooring. Engineered hardwood is made from at least two layers joined together. Veneer makes up the top part, and a number of layers of plywood, solid or HDF make up the lower part. These are joined under a great deal of pressure and are usually either click-lock or tongue and groove. Solid hardwood floors are completely natural, which means they can be affected by external factors such as temperature and humidity. If this is the type you choose, you should keep your humidity levels at between 45-55% all year round. Engineered hardwood, on the other hand, doesn’t move very much and is not affected by these external fluctuations. Humidity levels should be maintained between 40-65% all year round to avoid any problems. Solid hardwood will expand and contract when the temperature and humidity change, but engineered hardwood is much less affected because of the way it has been manufactured. Both types of flooring are very hard wearing, but ultimately their durability is affected by the finish you choose for your flooring. Engineered hardwood is not always cheaper than solid natural hardwood. The cost depends on a number of things, including the size, the glues and fixing used, and how much the lumber cost to buy in the first place. Installation costs will depend on the type of flooring and where it is being fitted. You don’t have to choose solid wood to get that natural look. Most engineered wood is made from solid wood, but manufactured differently. Both types can be purchased in the same finishes and colors, so there isn’t a lot of difference. Solid flooring, being subject to changes in the weather, should not be more than 4¼-5” in width, but engineered flooring can be much wider because it isn’t affected so distinctively by weather. Solid hardwood floors must be installed using nails or staples, while engineered flooring can be fitted in a variety of different ways, making it more versatile. 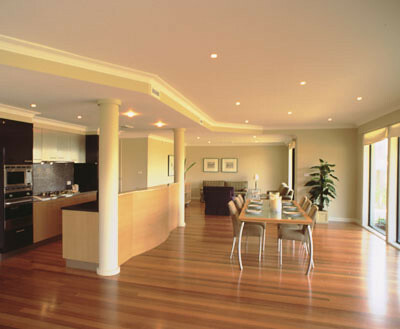 If you prefer eco-friendly flooring, choose solid wood. Engineered flooring contains glues and laminates that may affect how it is classed. If solid wood and non-toxic materials are used, then your flooring will be considered eco-friendly. At the end of the day, there isn’t much difference between the two types of flooring, so your choice should be based on cost and practicality among other things. Neil Farrington writers articles on Hardwood Flooring and related home improvement projects for NJ Flooring Outlet. For more details about us, please visit us online at NJFlooringOutlet.com or come into our showroom for more great savings.